To learn more about GRACE LINK, the Christ-centered, Bible-based, child-friendly Sabbath school curriculum produced by the Seventh-day Adventist Church, click here. Have fun at My Place with Jesus! an online interactive Bible adventure game! Make sure you get permission from mom & dad before you play! Ideas and resource recommendations for children's church, children's Sabbath School, Vacation Bible School and more! A place where Sabbath-keepers, SDA or non, can find inspiration and encouragement to really be able to make Sabbath the most special day of the week. This is a group to uplift each other in our Christian homemaking journey! Cornerstone Connections is the student lesson study guide (Quarterly) for youth Sabbath school. Includes daily lesson for 13 weeks. Four issues yearly. Holbrook Indian School is a Christian boarding academy operated by the Seventh-day Adventist Church for Native American youth. It is accredited by the Board of Regents of the General Conference. Site where teens and Sabbath school teachers connect online, download lessons, study sheets for Bible study, and discover other Adventist websites. A directory of children's Sabbath School resources and crafts. Here you will find free crafts and ideas for over one hundred Bible stories as well as other activities for devotions and Bible classes. A supportive Seventh-day Adventist ministry. Adult Sabbath School PowerPoint Presentations available online. This site has PowerPoints lesson graphics that can be downloaded for use in Juniors and Earliteens Sabbath School classes. Website for young adults to discuss the Sabbath school collegiate quarterly lesson. CQ follows the same lesson outline as that of the Adult Sabbath School Bible Study Guide and encourages a more interactive approach that has found explosive appeal among young adults worldwide. Laurelbrook School is a boarding academy for Grades 9-12. It has a combined academic-vocational program. This is the school's web site with needed documents combined with current news. Located in Klamath Falls, OR, Adventist Christian School is a small school serving students from grades 1-8 and dedicated to physical, academic, social, and spiritual excellence. Springfield (IL) Seventh-day Adventist Christian School is meeting the educational needs of students in grades 1-8 with the use of CompassLearning Odyssey online school and other computer assisted tools. Located in Victoria, BC, Lakeview Christian School (formerly Island Pacific Adventist School) serves students from Kindergarten through grade 9. Students in Adam Dovich's 3rd and 4th grade class at Meadow Glade Adventist Elementary School (MGAES) in Battle Ground, Wash., wrote and performed this original video of a song celebrating their school. The video was produced Larry Witzel, a parent of one of the students. Parents - PLEASE surf with your kids! Although Emmanuel SDA Church doesn't control the content of these sites, to the best of our knowledge these sites are safe for all ages. If you find something that is not appropriate, please email us! A Kids Heart - Celebrating Life with a Kid's Heart. Adventures in Odyssey - Listen to a "fast-paced family adventure for children of all ages" from Focus on the Family. Children's Bible Stories – Cool children’s Bible stories with pictures and sound! 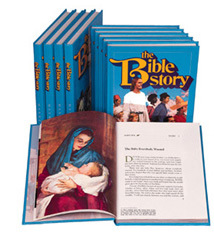 Children's Online Bible Studies - Nifty online Bible studies just for kids! Christ For Me - Christ For Me Online Magazine is for kids from age 3 to 12. Drew's Animals - Games, coloring pages and more. The Great Dinosaur Mystery - Games, puzzles, stories, trivia and what really happened to the dinos. Guide Magazine - Lots to do on this site. Kids Quest - Learn about the Creator by exploring His marvelous creation! Kid's Korner - The fun place to learn about God's Word. Kids4truth - clips about many Bible stories. Kea Coloring Book - Christian pages to color and other topics too. Project Creation - Learn about Creation with articles, printable coloring pages and puzzles. NEW My Place with Jesus - Go though a series of video lesson. Great for younger children. The Ultimate Veggie Tales Site - Videos, games, songs, links and more! Camp Resources - Projects, Games, Songs, Rainy Day Resources, tons of fun. Children's Online Bible Studies - the Kid Explorers Coloring Book where you can find great pages to print out and color. Danielle's Place of Crafts - lots of original and inexpensive Bible-based craft projects, activities, and Bible lessons designed for preschool, Sunday school, and VBS (Vacation Bible School). Riley & Drew's Thomas the Tank Engine page - Lots of info about Thomas. Thomas the Tank Characters - Keep current with all the characters on Thomas the Tank Engine. Also sells Thomas toys. Etch-A- Sketch – online etch-a-sketch, games and more. Family Fun Crafts - You can do a lot of crafts at this site. Hot Wheels - Games and Hot Wheels. Very cool! make-stuff.com – activities and fun stuff for kids. Squigly's Playhouse - a fun and safe place for kids to play and learn. Children's Storybooks Online - Online stories for different age groups and a color book. Koala trouble - activities and interactive stories for young children. Brainpop - The more you know, the more you know! Discovery Online - Discover Channel Online. Lots of cool stuff to see. The Learning Studio - Fun stuff here! Live from Antartica - Cool stuff for parents, teachers and kids! B.J. Pinchbeck's Homework Helper - If you can't find it here, then you just can't find it. Children's Chapel - Step right in!